By buying this product you can collect up to 488 bonuspoints. Märklin Start up - Happy Birthday Car, längd över buffertar 11,5 cm. Model: The car is loaded with a high-quality beach buggy constructed of metal. 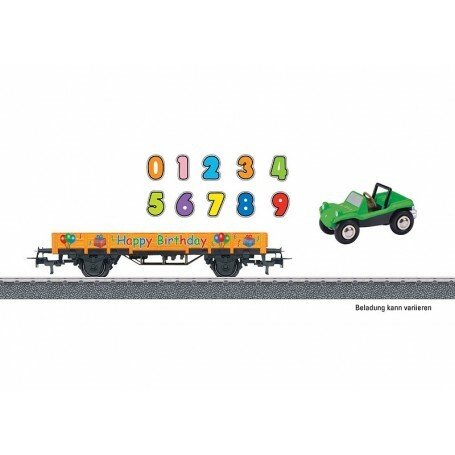 In addition, the railroad car has a set of numbers to mount on the car. The car has Relex couplers. Length over the buffers 11.5 cm / 4-1/2'. DC wheel set E700580.